Weather Wars – Is it possible? Houses torn apart, streets flooded, people missing; these are some of the many things that people read every day, every month and every year. Now its USA’s time to be part of this tradition. From April 14 till April 16, California state of US came standstill for three continuous days. 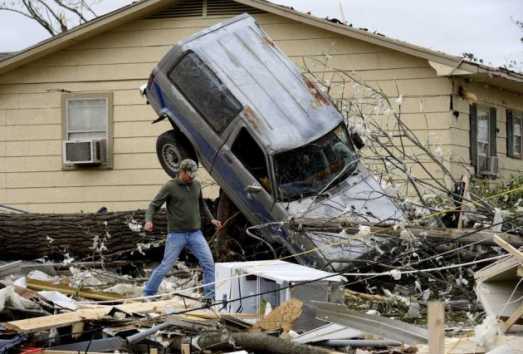 A rare weather system produced 200+ tornadoes in just 56 hours killing 45 people. so whats happening?? A secret war is going on? Let the Weather wars begin! Global Cooling first appeared in the New York Times in 1895. But this theory was withdrawn later. Global warming first appeared in the New York Times in 1929. People either blame HAARP or climate change for disasters now a days. 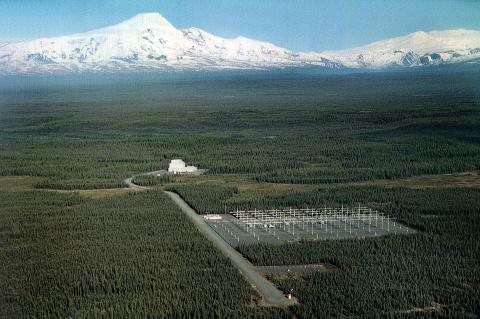 The aim of climate change is to destroy nations while the aim of HAARP is to destroy nations as well. Cloud seeding had its beginnings in 1946 at the General Electric Research Laboratories in Schenectady, New York. Cloud seeding is to change the weather rather than to control it. China used this process during the 2008 olympics to move the dust particles over Beijing. Have you ever realized that every month there is some severe or deadly weather lashing some country? Every year there is some major calamity and disaster. Every 3 to 5 years there are some major disaster, why? Are we heading towards weather wars? Is weather now controlled by human race? Is global warming a big lie? If we talk about karachi and Monsoon then you should know that Monsoon also starts very late over karachi and finishes very soon and sometimes it does not start. Over karachi monsoon cannot creates frequent downpours like Punjab,Nwfp,Kashmir and Northern India,calcutta or Dhaka to new delhi etc so there is No advantage of waiting for monsoon over karachi. I do not know the reasons behind it. According to you is it possible to control weather system? Well it could be yet another conspiracy theory like the landings on the moon, however I definitely doubt that it is all human controlled. The delicate balance of the universe cannot and should not be played with, it could start a potentially dangerous chain of events which could eventually wipe out the human race for good. Life on planet earth only became possible after the last ice age, that was some 20,000 years ago according to anthropologists. However recorded history dates back to no more than 4000 years. So if we were to assume that ‘intelligent’ life has existed on earth for only 5000 odd years, then it is relatively short considereing the life of this planet. (Big bang occurred 13.7 billion years ago). Hence it is safe to assume that in the next few thousand years, human life as we know it will cease to exist.